Today, TechnoGiants is pleased to announce its 27th giveaway courtesy of Wondershare, with a chance for our 5 valuable readers to win 1 Years license code for Wondershare Dr. Fone for Android For Windows, so give your comment and participate in giveaway. If any one is looking for a reliable file rescue solution for their android devices then Wondershare Dr.Fone for Android is very useful and hands-down a great pick. 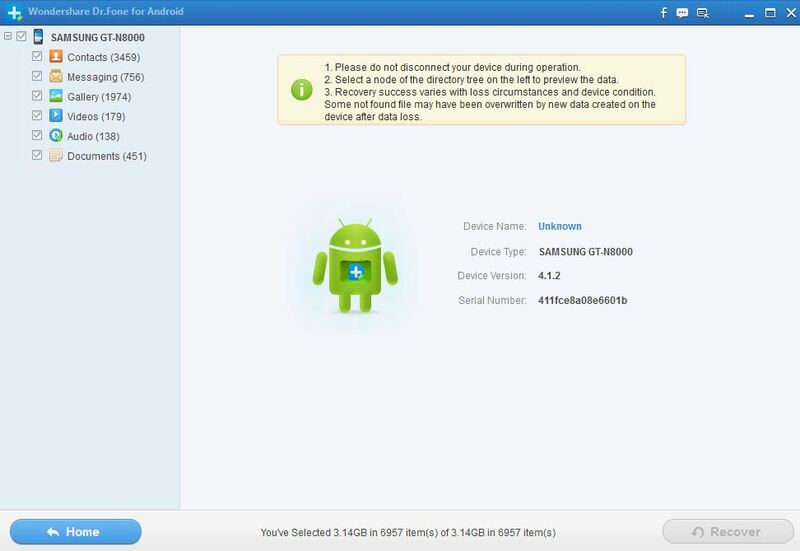 Wondershare Dr.Fone for Android works on several android devices including all the low end phones too is really a very good data recovery solution. It really doesn’t matter for Wondershare Dr.Fone that how long the Android phones data has been tampered/deleted with. From any android devices and/or phones, I have always recommended Wondershare Dr.Fone for android as the reliable and final solution for getting back your lost/deleted files. I never forget to mention the various award-winning Wondershare products in my previous articles because their products are always top-notch in every category and also they do what they are designed for. Why Wondershare Dr.Fone for Android? Wondershare Dr.Fone is an ideal data recovery program for getting back contacts, messages, photos, video and documents on/from your Android phone or tablets which were accidently or mistakely deleted, there is also an option of data preview before recovery supported and there are several reasons which take out Wondershare Dr.Fone for Android as reliable and ideal data recovery amongst the others android data recovery programs. Wondershare Dr.Fone for Android being a renownd android specific data recovery software which supports wide range of android devices including low end Chinese brands too. Before recovery, this Android data recovery software gives you a flexible and precise option to recover any item you want. Preview all recoverable contacts, messages and photos and documents before recovery. This data recovery for Android software is 100% safe for all computers and Android phones & tablets, and you can use it with no tech skills. Keep data on your device original, no damage, deletion or modification at all. There is no necessity for any user manual and this makes even a novice can run the software without getting any problem or issues and it is just because of the user friendly interface of Wondershare Dr.Fone. It’s also substantially lightweight and can run on any Windows. The memory and hard disk drive requirement is additionally basic and all trendy/modern computers should be fine with it. What’s more Wondershare Dr.Fone for Android is an awesome and really do not require any special capabilities or technical knowledge to use. Need more features, supported devices list and troubleshooting tips? 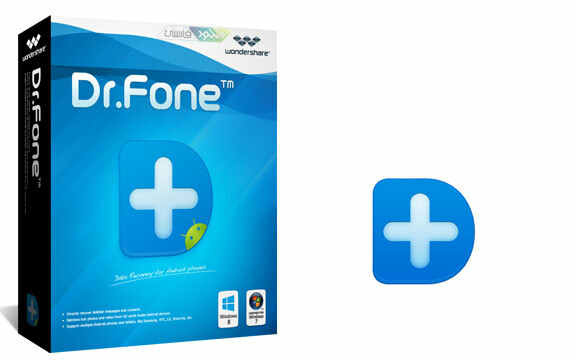 How to Get Free Wondershare Dr.Fone for Android License Worth $49.95USD? Thanks for the good android data recovery giveaway. Welcome to TechnoGiants and thanks for joining the giveaway. All the best Rohit. Thanks for joining the giveaway and all the best. Thanks for participating the giveaway. All the best. Great software to backup all the data for an android application. thanks for your post . Welcome Ashish on TechnoGiants and thanks for joining the giveaway. It’s exactly what I need. You saved my data and solved my problem… Great! Welcome to TechnoGiants and thanks for joining the giveaway. I don’t want to lose my files on my iPhone and I don’t have the patience to wait in the process of backing up to iTunes. Tried you recommendations here and I’m impressed on what Dr.Fone can do. As mentioned, I’ve also seen some lost files. Sahil, thanks for joining the giveaway but this is for Android version only. Its really good for you. Hope the best. I rooted my mob… then Wondershare Dr.Fone for Android can read my mobile. It recovered a lot of my deleted data on it. Really good one. Thanks for joining giveaway. Yeah this is really a very good android data recovery software.